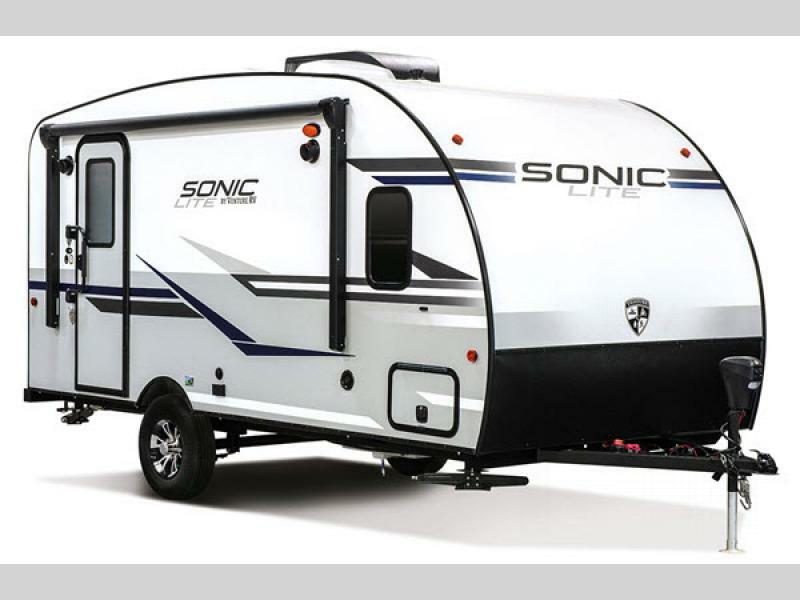 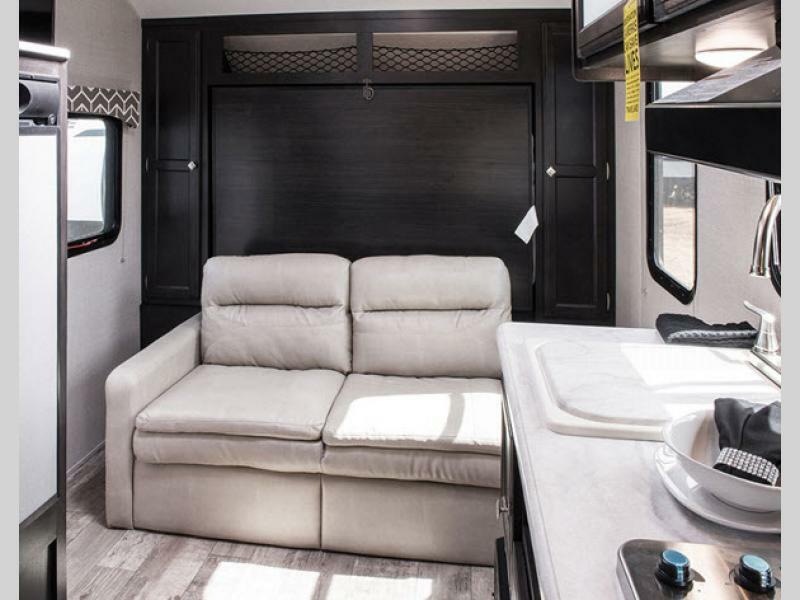 If you are looking for a lightweight camping option, check out the Sonic Lite travel trailers by Venture RV. 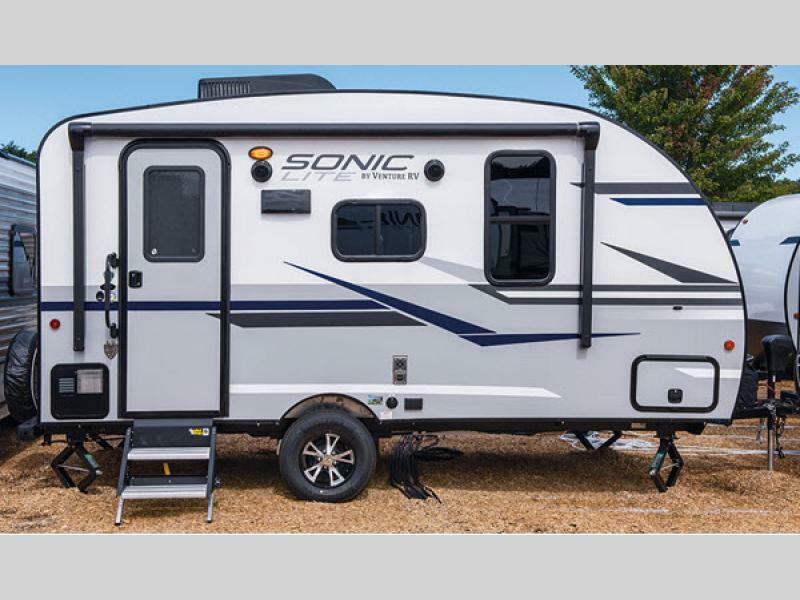 These units are designed for today's smaller tow vehicles, and families that are always on the move enjoying life's big adventures. 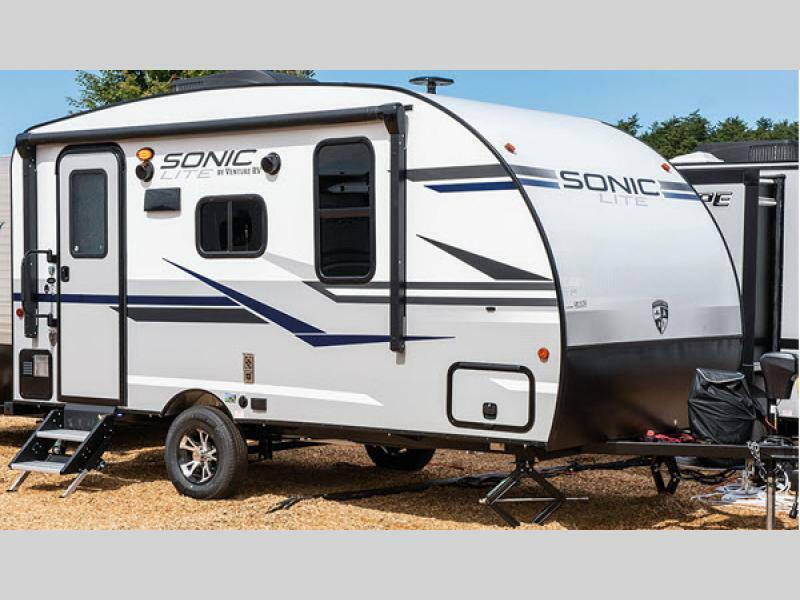 Each unit comes with the same great construction features of it's big brother, Sonic, but only feature a single axle with weights starting below 2,500 lbs. 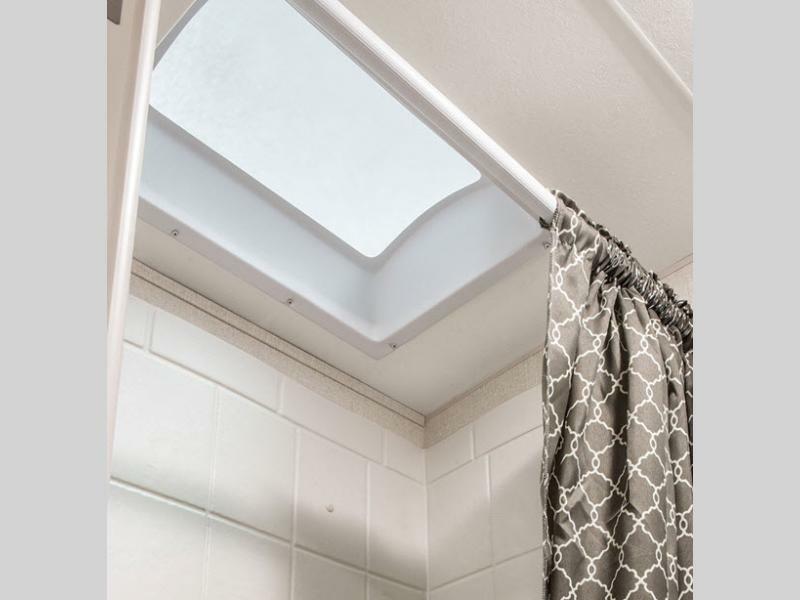 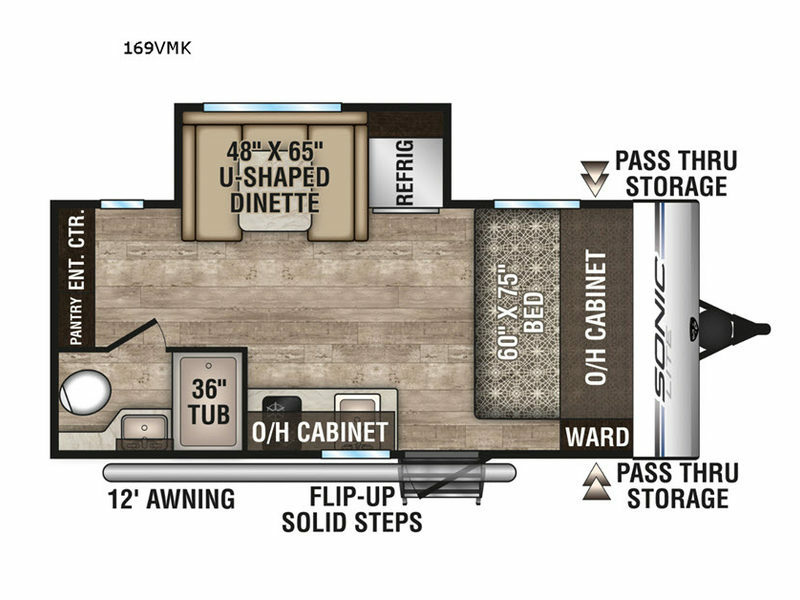 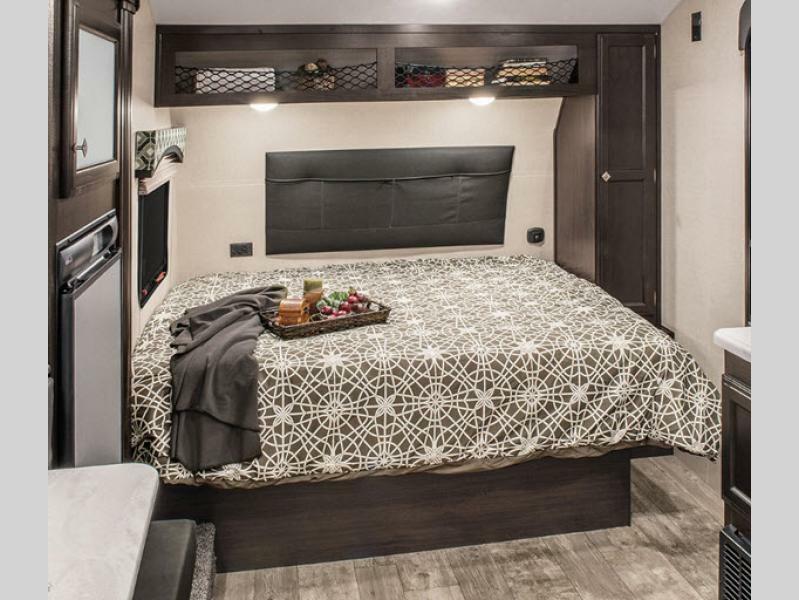 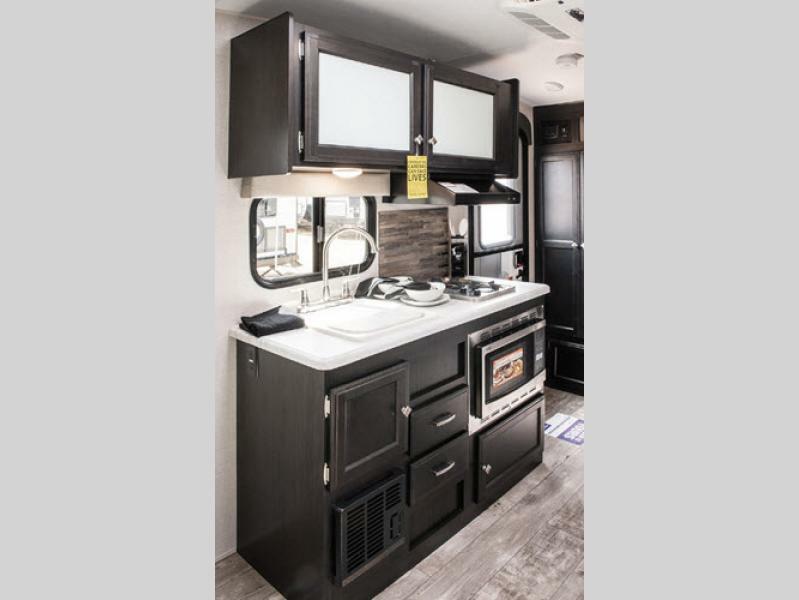 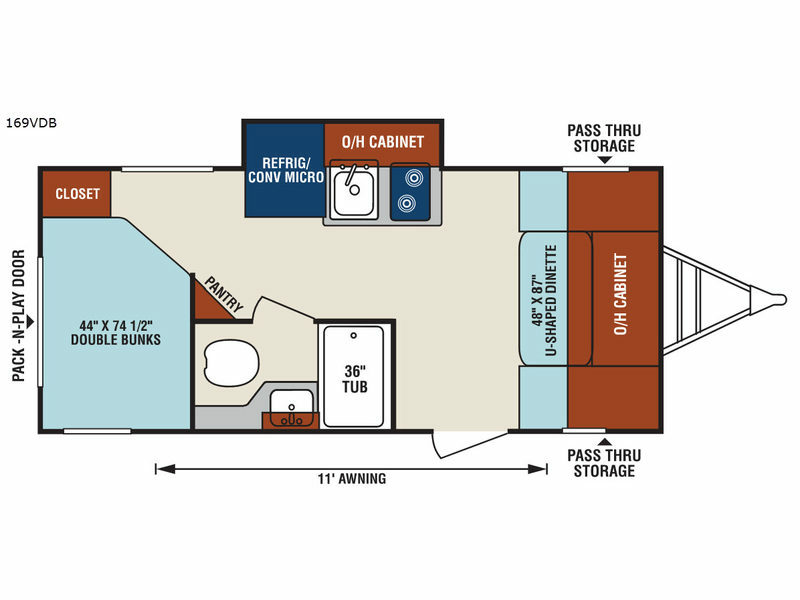 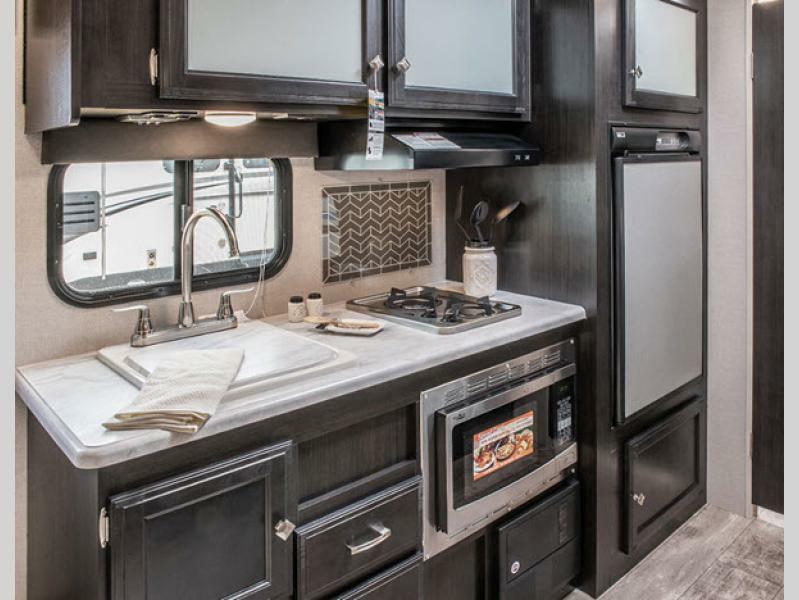 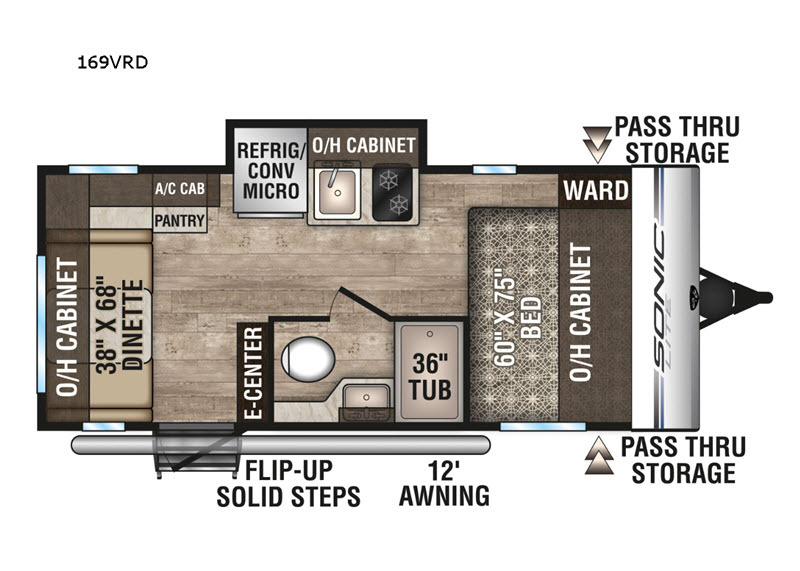 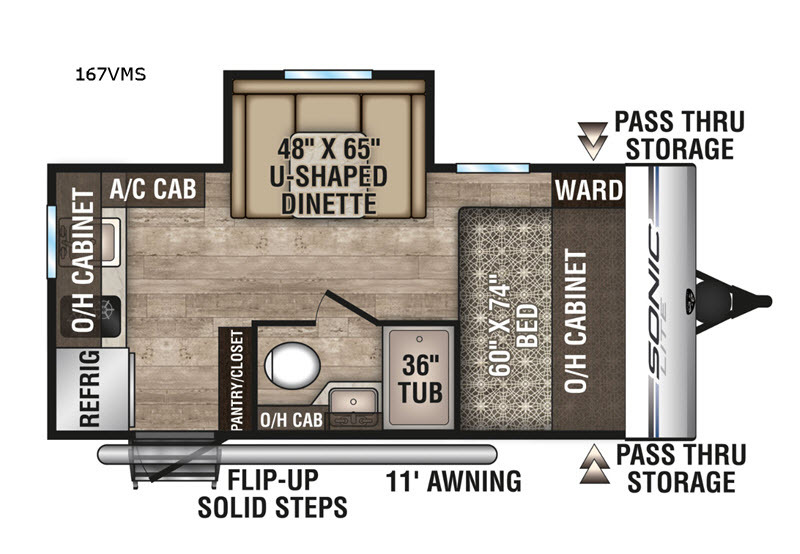 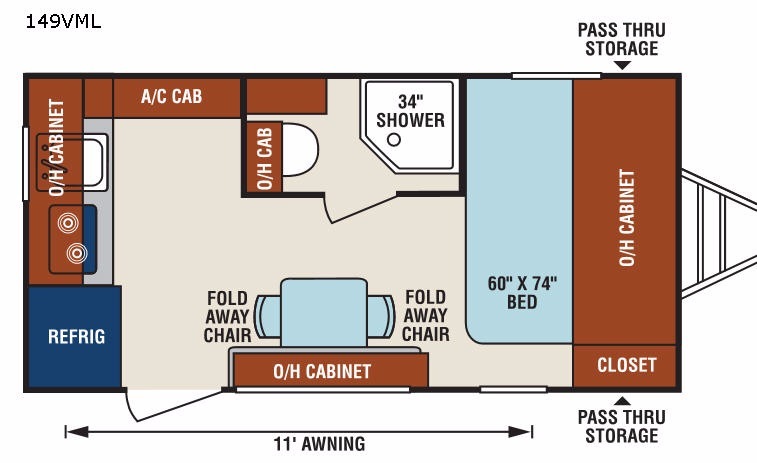 You will love the 82" interior headroom under a one piece seamless fiberglass roof, complete kitchen and bathroom accommodations, plus more. 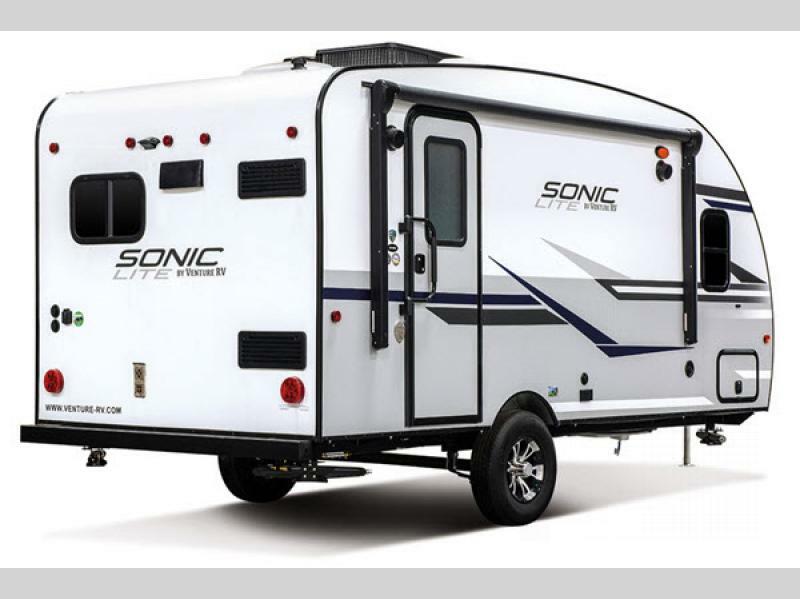 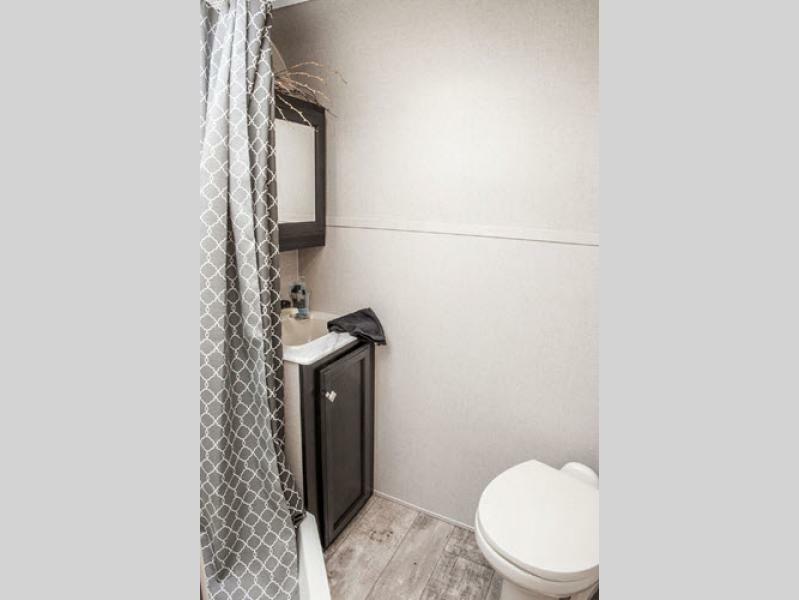 For a lightweight unit that is large on livability, and extremely versatile, choose a Sonic Lite travel trailer by Venture RV. 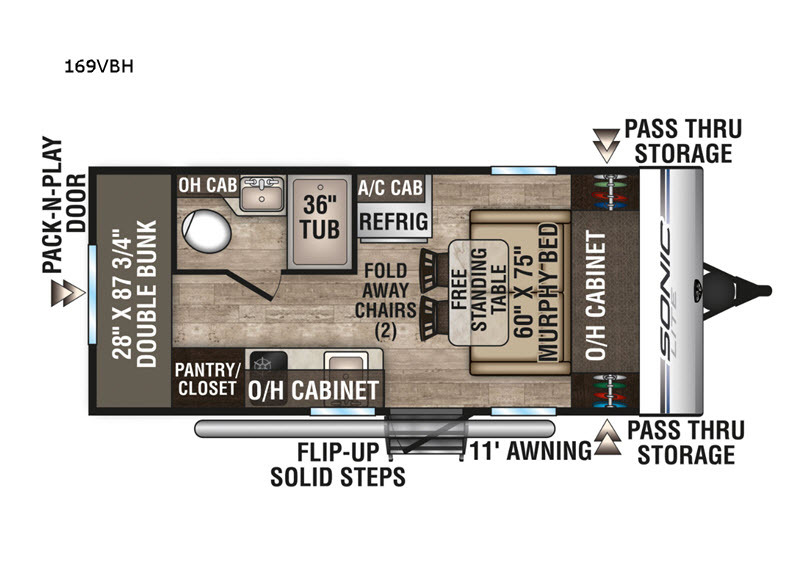 Please see us for a complete list of features and options. 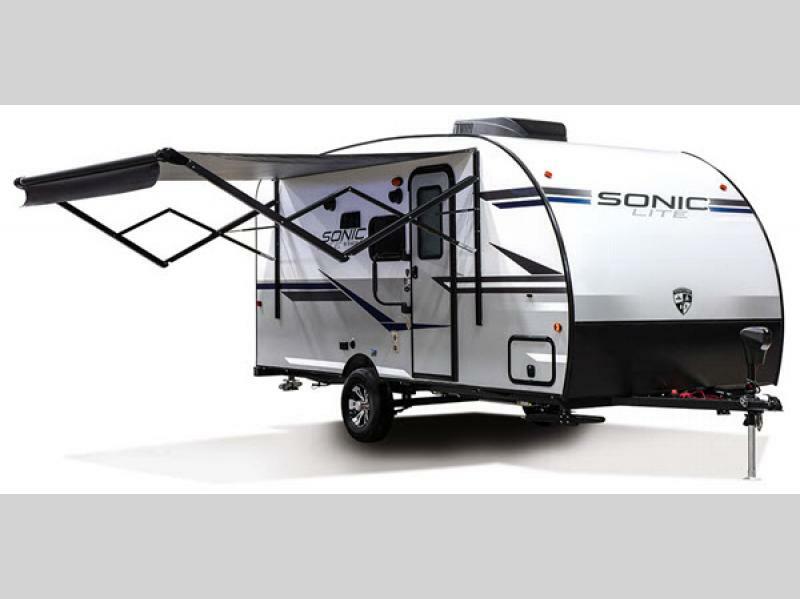 Venture RV offers a wide variety of lightweight and ultra-lightweight travel trailers to suit every family’s needs. 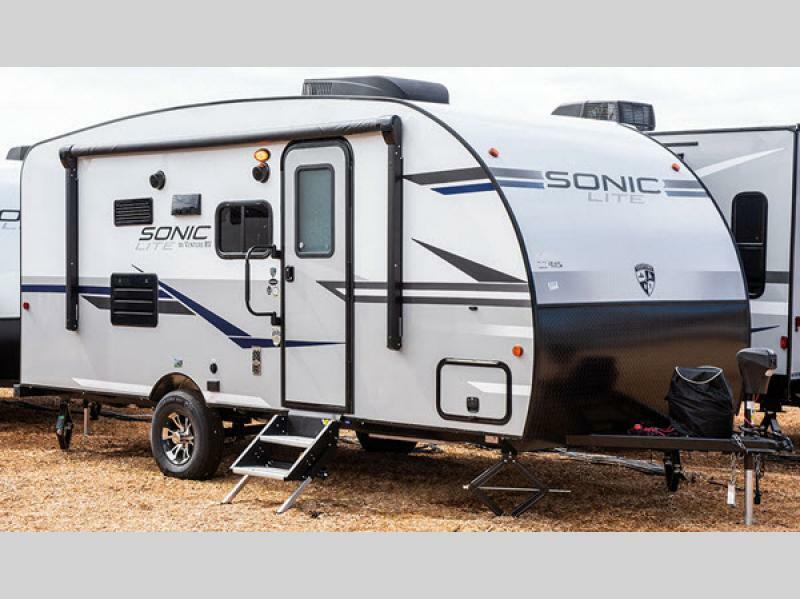 We’re camping fanatics; Venture recreational vehicles are designed and built by people who actually use the products we offer our customers. 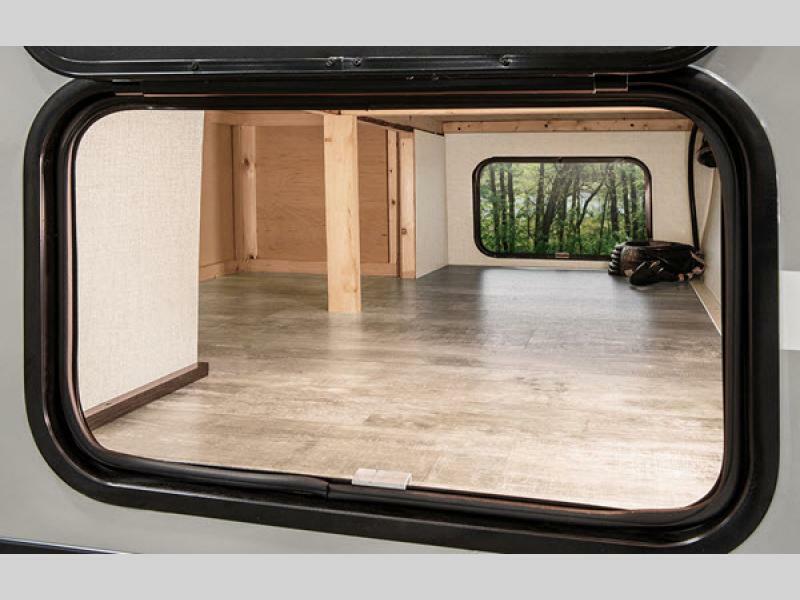 And because of that, we’re hyper critical of the camping experiences we have in our own RVs, and design function and economy into every vehicle we produce. 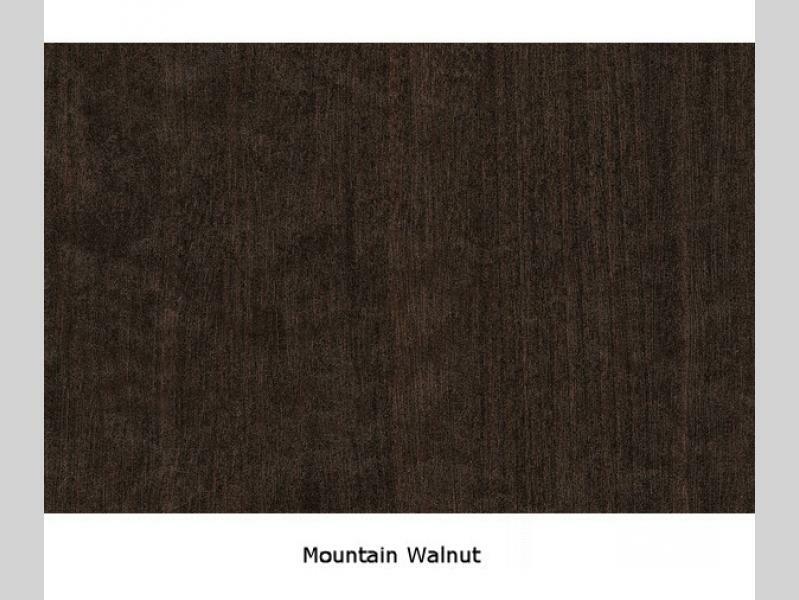 Also, we are also a company committed to community involvement, and endeavor to be good local neighbors. 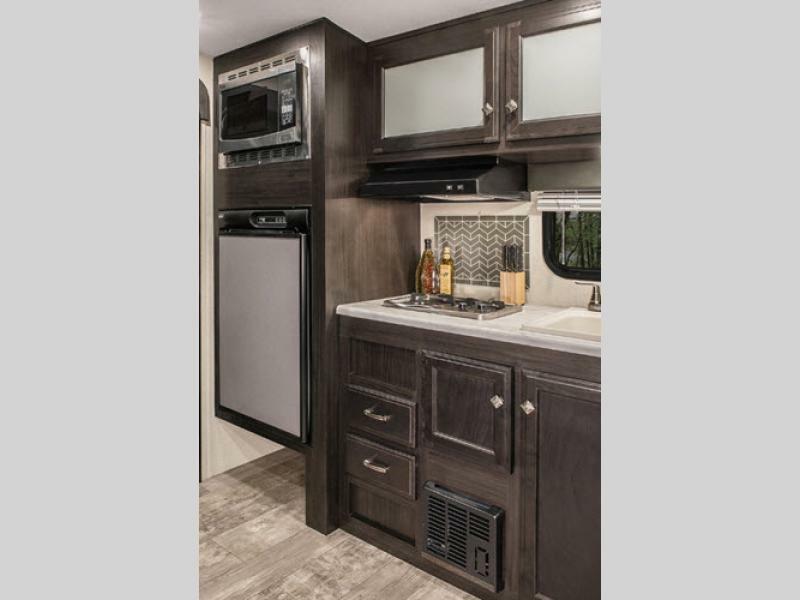 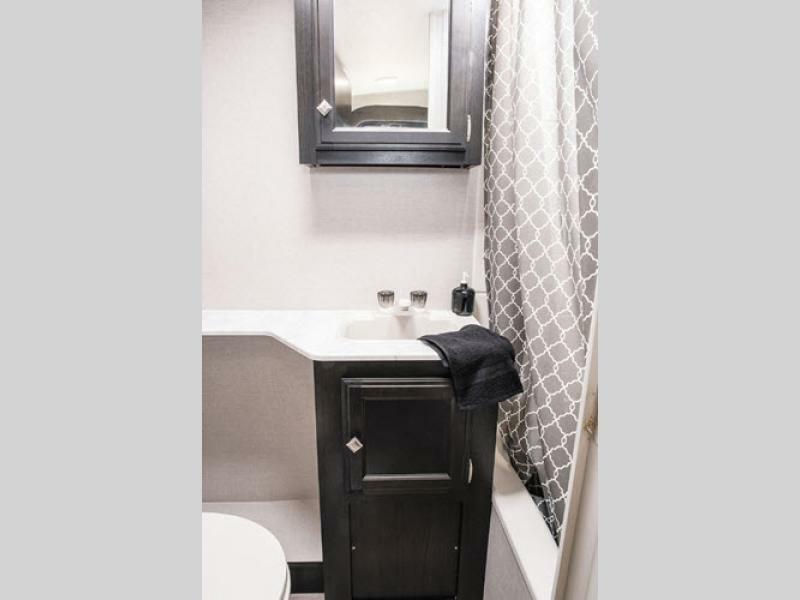 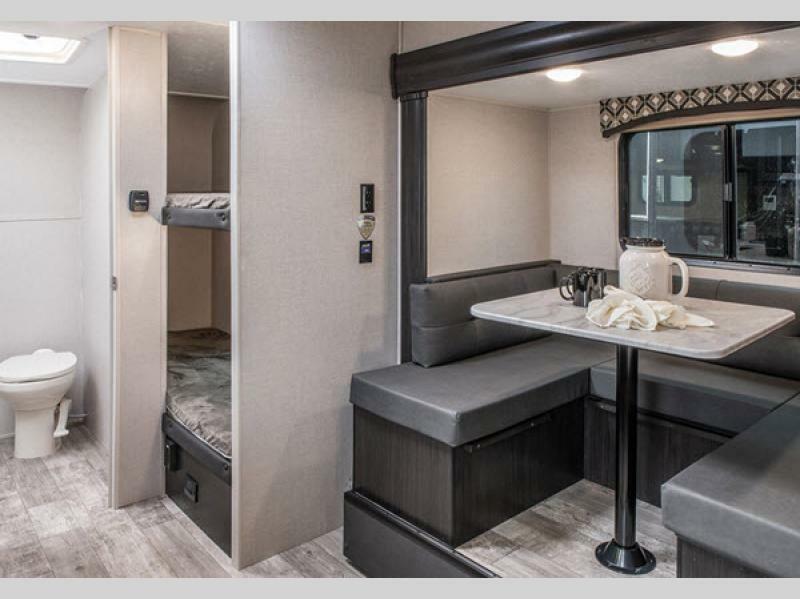 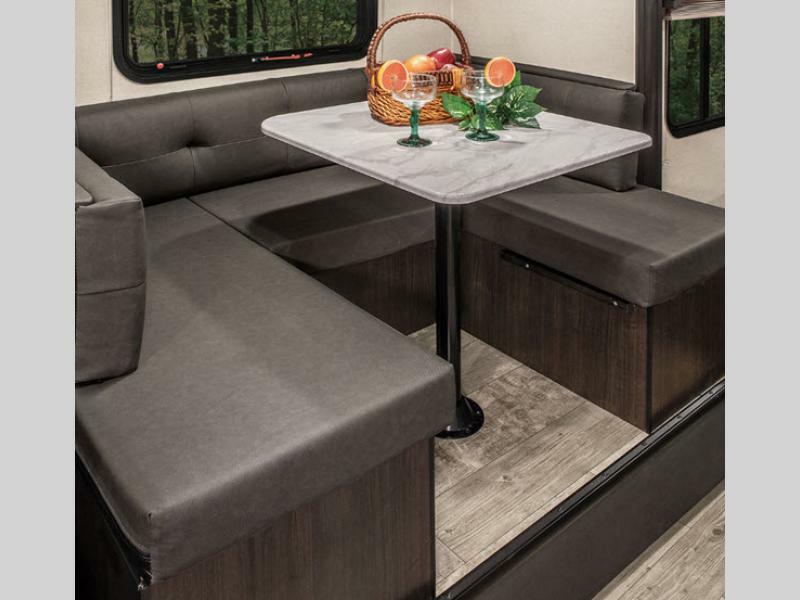 Venture RV’s parent company is K.Z., Inc., a subsidiary of Thor Industries, Inc. K-Z got its start building truck campers in 1972, quickly added Sportsmen® travel trailers to the lineup, and has never looked back. 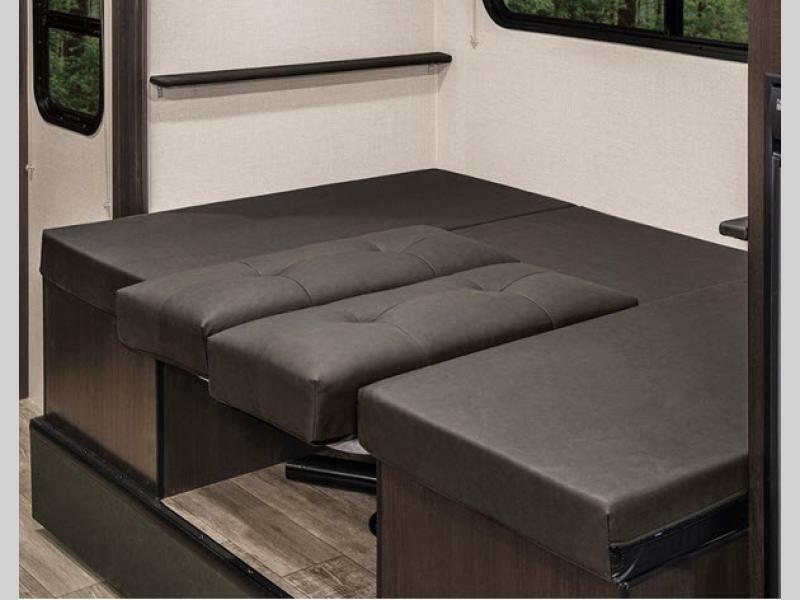 We added the Venture line of lightweight towables several years ago, and immediately realized we’d filled a previously unsupported void in the marketplace. 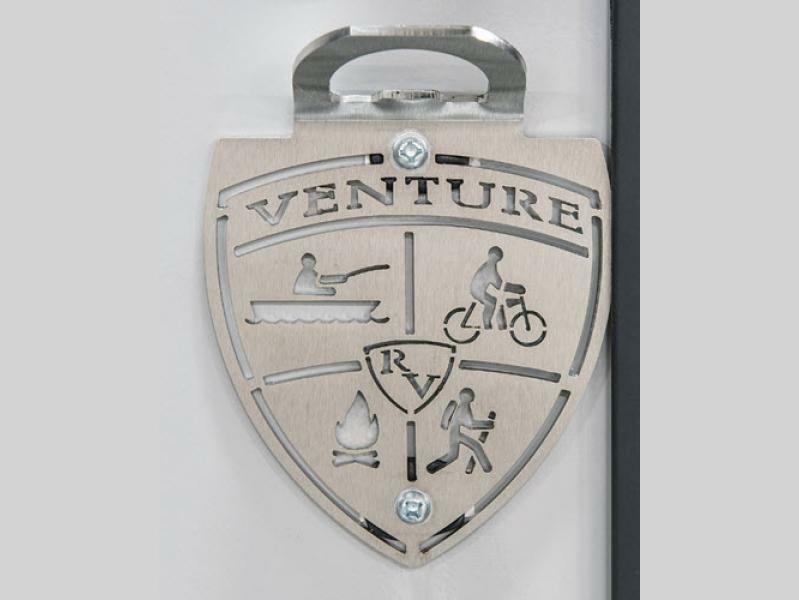 Our facilities cover over 530,000 square feet of manufacturing and office space, and house close to 400 employees. 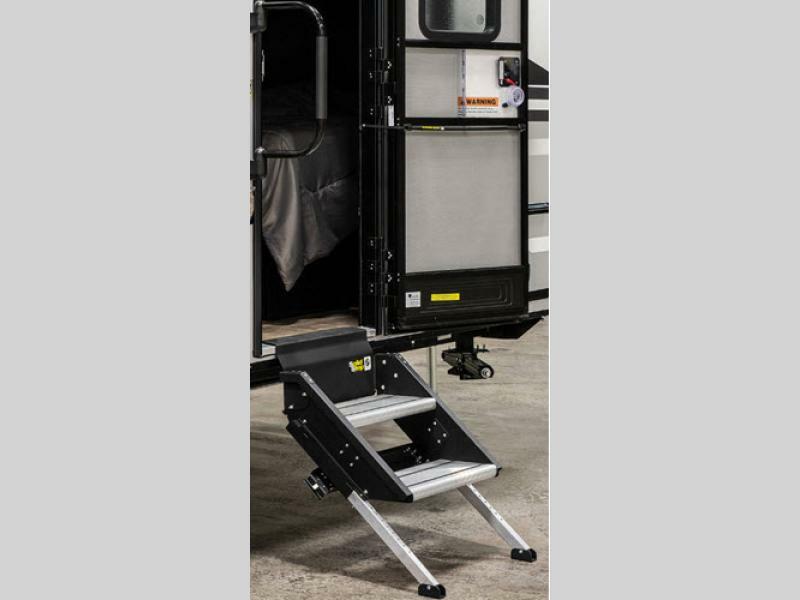 Those employees represent a labor force that is one of the most stable in our industry. 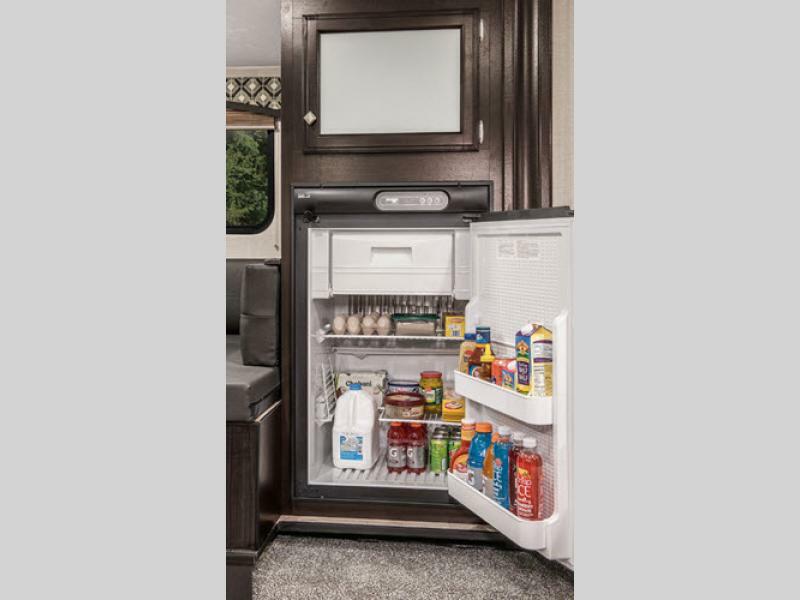 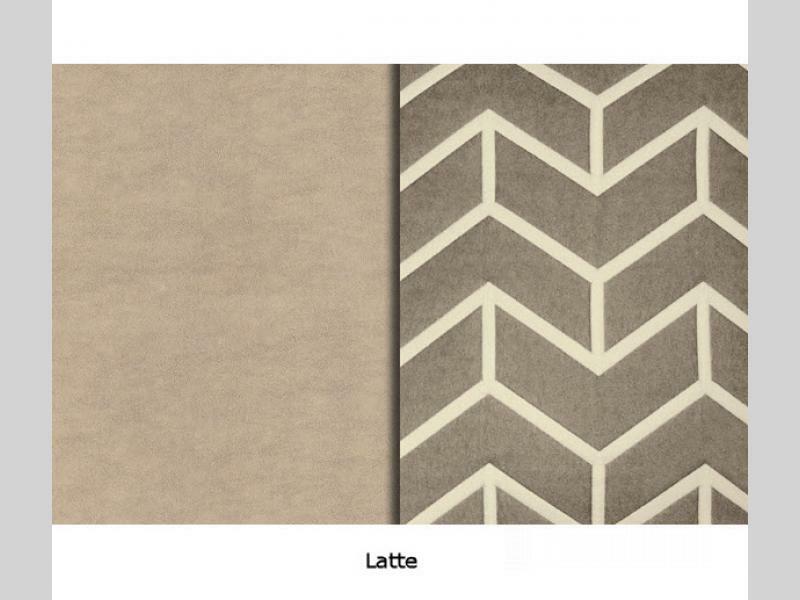 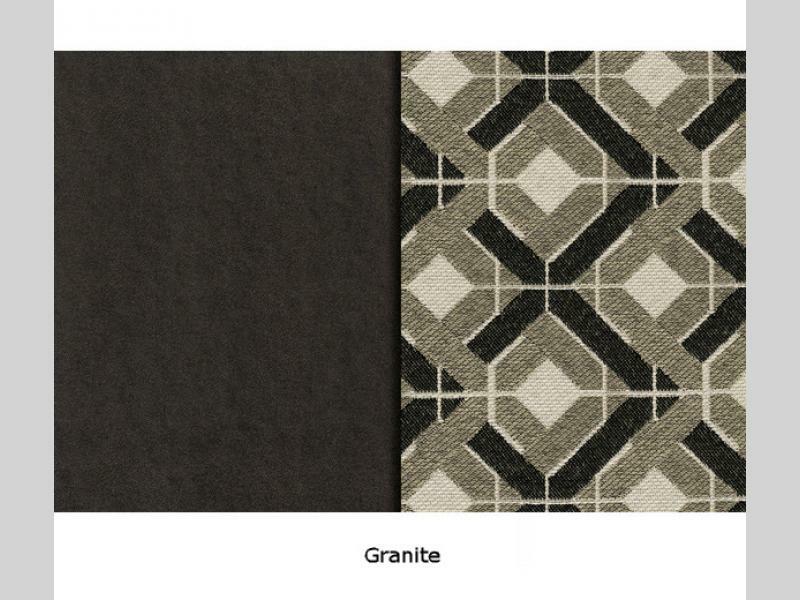 A low turnover rate plus our employee’s superior work ethics equals the highest-quality products for our customers. 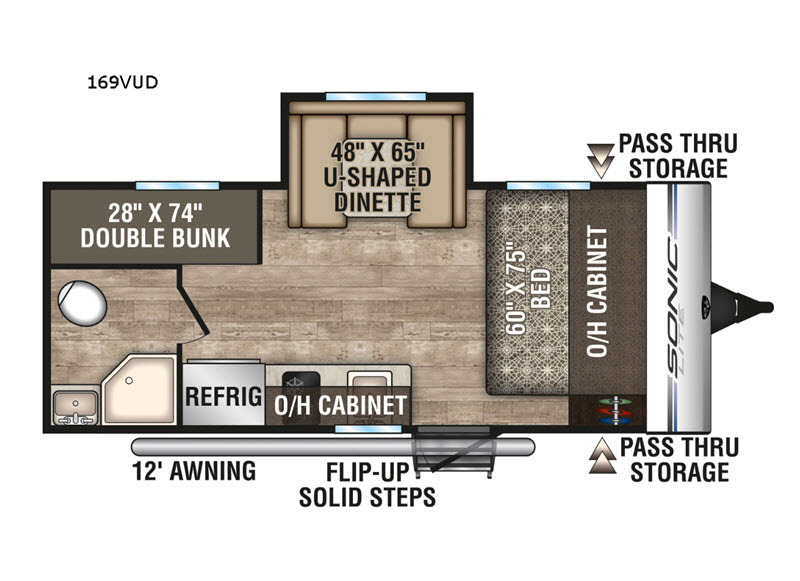 That’s why we’ve received the coveted RVDA Dealer Satisfaction Index for the past 14 years running. 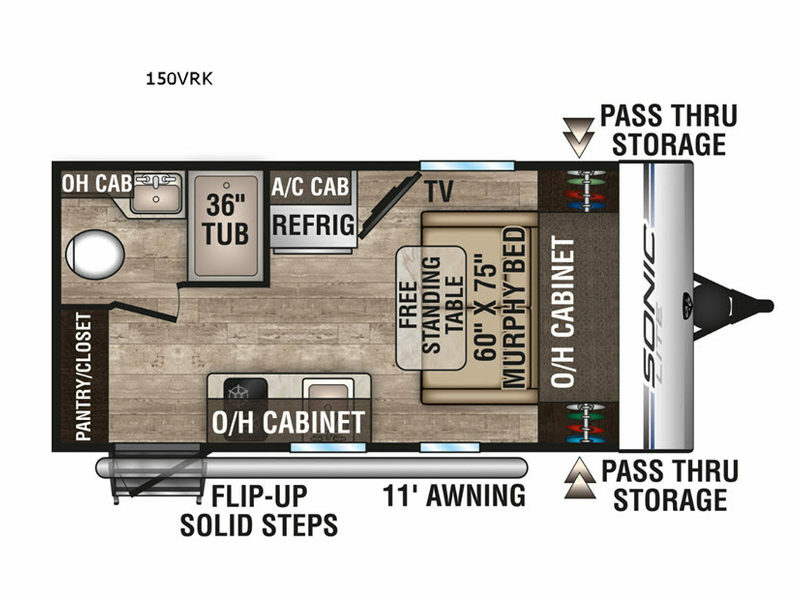 No other travel trailer manufacturer has achieved that accomplishment.